Tuesday morning a significant disturbance was felt globally in the force. As if millions of Star Wars fans suddenly shared a collective breath of awe. 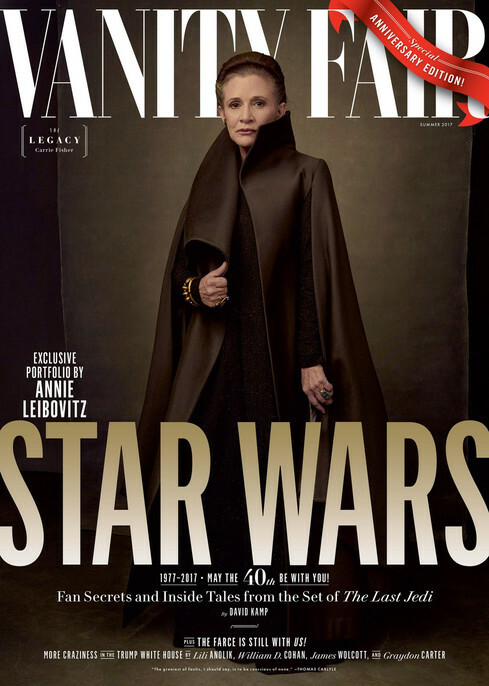 Vanity Fair covers graced the fans of Star Wars with stunning images by Annie Leibovitz. 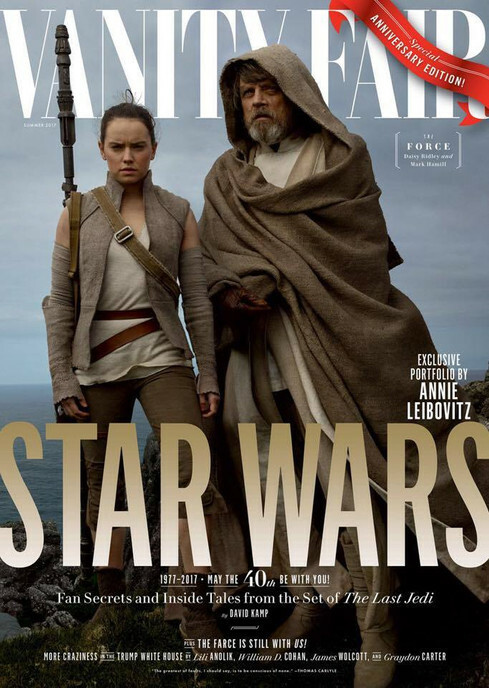 The photo shoot took place in May 2016 on the Last Jedi’s sets in London and Ireland. In full character dress, these covers really hit the heart. 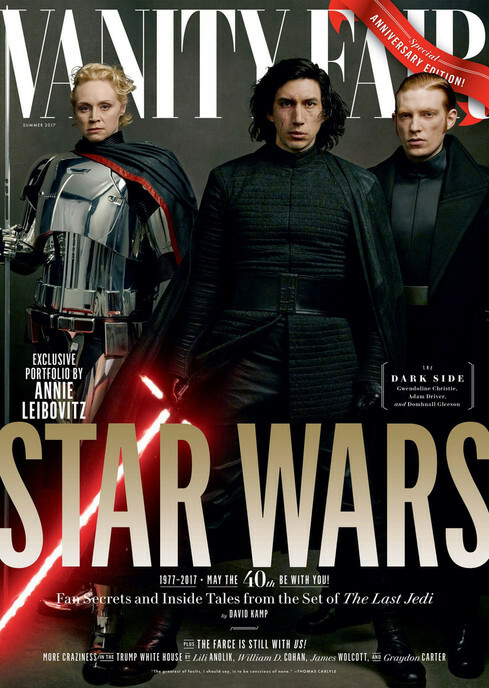 Now a tradition, Vanity Fair has featured the stars of Star Wars on their covers with release of each new film. This morning’s release did not disappoint the public. The familiarity of the faces of the old and new Star Wars canon brought both excitment and poingant grief. 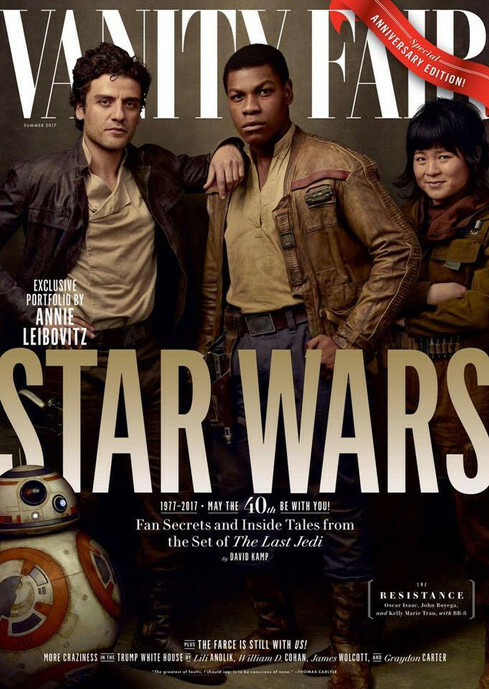 by Vanity Fair Photographer by Annie LeibovitzAnnie Leibovitz’s portraits of the cast of Star Wars: The Last Jedi continue a Vanity Fair tradition that goes back to 1999. Click through for a look back at all of the magazine’s Star Wars covers. Having this recent cover below for Star Wars: The Force Awakens in 2015 tantalizing us, many were anticipating this morning’s publication and collectors will be clearing out the news stands. December simply cannot come quickly enough.